...from the root to the fruit. ...blues/funk meets hip-hop! "...his vocals are a blend of blues intensity and style with urban soul. ...incredibly soulful and funky! ...it’s as if every song chastises me for never having heard of this man or his music before now. ...a combination of multiple genres while still maintaining a great late night, urban club feel. 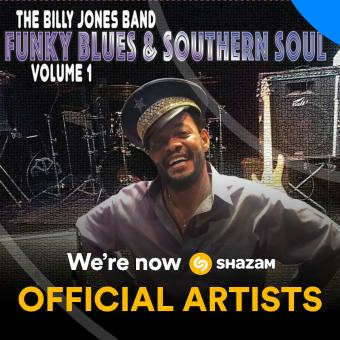 No matter if you want to call it soul, blues, R&B or bluez, Billy Jones can really put some emotion into his music. ...at times dark, mysterious, downright funky, and always compelling. ...and as I say all the time, that is what music, and especially blues, is all about. ...each of the songs on the album guarantees I’ll be back for more."